Now that you have the right camera equipment from our Make Your Listings Shine with These Photography Tips blog, it’s time to become a pro at taking photographs that sell your listing with a few easy-to-incorporate but absolutely essential photography tips. 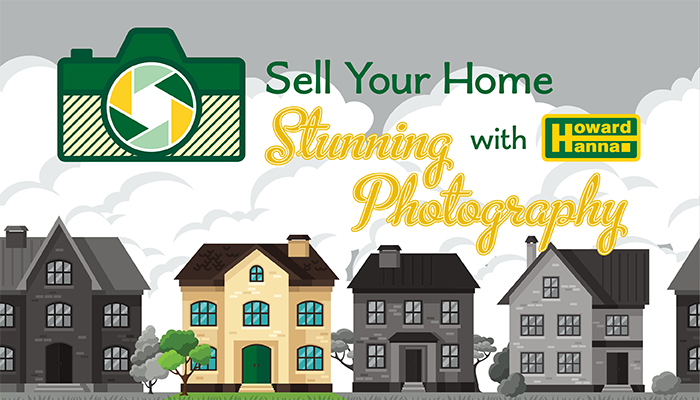 The following five photography tips are sure to help make your listing stand out from the rest. The pitfall of many listing pictures is simply poor lighting. To increase the lighting in a room, turn on all the lights that you are photographing along with the lights in the adjacent rooms. Adjacent rooms can have stronger light-bulbs and brighten the one that you’re photographing by proximity. In addition to turning the lights on, open the curtains or blinds in that room. If a lot of sunlight filters through the windows, be sure to take the photograph from the side of the windows or at an angle so the camera isn’t pointed directly at the windows. If the camera is pointed directly at the windows, then the sunlight will darken the furniture and the room. Conversely, if the focus point of the camera is any of the areas that are shadowed, then the window will appear like a white box (too bright). In bathrooms, the flash can be seen in the mirrors. To resolve this, stand at an angle so that you and your camera are not pointed directly at the mirror. In post-production, you can also crop the picture to remove the segment where the flash is visible. In all rooms, bright or white spots are visible on anything that is white, a light color, or a window. These are caused by overexposure; that is, too much bright light in the room. To resolve this, decrease the flash intensity on the camera by adjusting the aperture (if your camera has this setting). If you cannot adjust the aperture on your camera, then partially cover the flash light with a piece of paper. The paper will act as a diffuser and dim the intensity of the light. In addition, if you maneuver the paper so that it is angled and only partially covering the light, then the light will bounce off the paper into the opposite direction. This tactic helps to evenly distribute the lighting. If it is a detached flash light, angling the light at the ceiling will cause the flash to bounce off the ceiling and onto the rest of the room. This will help spread out the light and brighten the room without overexposing any part of it. If there is an area of the room that is darker than the rest, it is best to angle the flash so the light bounces into that area. This may seem basic, but it’s an essential component that can make or break any picture: is the room in focus? If not, then be sure to lightly press the button to take a picture with your camera. Don’t click the button, just lightly press it – this will cause the lens to select a focus point in the room and bring the room into focus. On any touch-screen phone, tapping any part of the screen will make that the focus point. This will also cause the phone to bring the room into focus. If you have a tripod handy, then using it will help stabilize the camera and minimize any blurriness or shakiness in the photograph. Some homes have unique architecture that creates an awkwardly shaped room, or a room that’s more difficult – if not seemingly impossible – to take a proper picture of because of the strange shape. In these cases, angling the camera, stationing yourself in a particular corner, and even repositioning the furniture are all vital to making the photograph work. When angling the camera, make sure that the room or house appears level in the picture. For example, if you’re standing on a hill that’s sloped downward, then angle the camera so that inside the picture the road appears parallel (flat) to the edge of the picture. When stationing yourself in a particular corner or area of the room, try to get as much of the room into the frame of the picture as possible. Don’t stand behind a pillar, stand in front of the pillar. If you’re photographing a kitchen from behind a counter, and the counter is visible at the bottom edge of the picture, this will make the kitchen seem smaller. Take the picture of the kitchen from the side of the counter or in front of the counter instead to help make it seem larger. When repositioning furniture, first be sure that this is alright with the homeowners, and secondly be sure to put the furniture back in its proper place when you’re done taking the picture. According to a 2012 joint study by the National Association of REALTORS® and Google, approximately 90% of people searched online for their home at some point during their home buying process. In another 2015 study by the National Association of REALTORS®, the first thing that 42% of home buyers did was search online for properties to buy. With so many buyers looking online, it is important to optimize photos for online display. Websites are primarily designed for viewing on a computer screen, and computer displays today typically have an aspect ratio of 4:3 or 16:9. This is a horizontal viewing ratio, which means that horizontal (or landscape) pictures look and work best. When a vertical (portrait) picture is displayed, it creates a lot of white space on either side of the property’s photography – this white space gives the sense that there are parts of the picture missing. As much as possible, avoiding creating a sense of the home missing a key feature by taking horizontal (landscape) instead of vertical (portrait) photographs. Except for hallways, rooms are also typically horizontal – that is, long or wide – in shape, and as such, horizontal photographs make the room look its best. You don’t need to hire a professional designer to rearrange furniture in a way that accents the cozy fireplace; a little decluttering will go a long way to making that fireplace shine! Removing excess items and limiting the number of visible objects on a surface to three or five, depending on the size of the surface, will make it appear much cleaner and help draw the attention to the room instead of the objects in the room. Remember, you’re selling a house – not the furniture in the house.